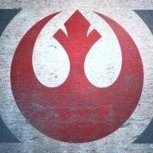 Kicking some puppies...new tank, new crew, no Sixth Sense. 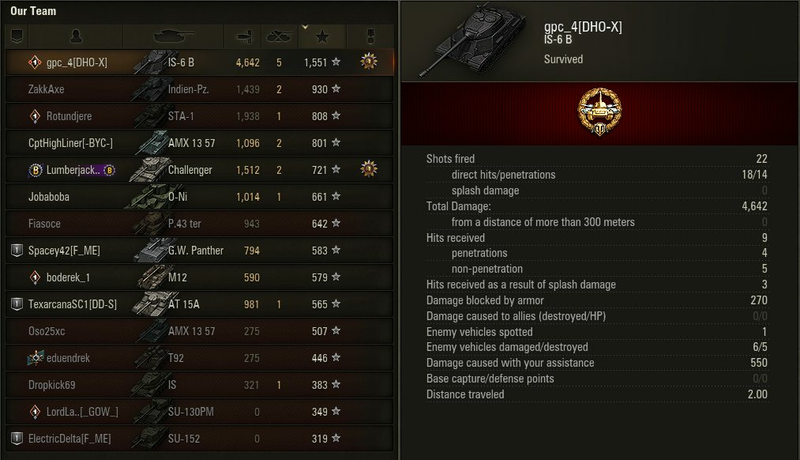 The T54E1: this thing is tough. Either I do really well, or I have a crap game, no in betweens. The gun is so RNG unfriendly. I can fully aim and miss a whole rack of shots. I don't even get bounces. I have no idea where the shells go. Its slow too. Is the T57 better, other then being T-10? I hope so. Really low damage ace in the 50B where I fail to help @Golfcrazyor @Juggernaut41but dig out a win. 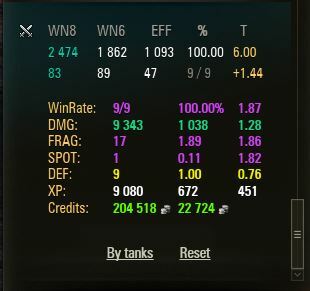 I'm not even sure how this is possible while you're shooting tier VIII tanks. Perhaps warpack. There were school bells ringing all over the battlefield. Twas an impressive carry. Not exactly a battle, but I don't think I've ever had a night like this. 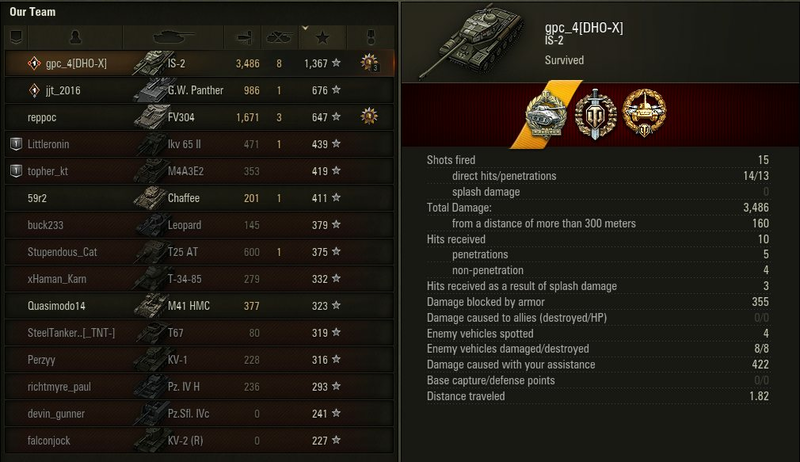 I'm trying to get my 2nd MoE on the M44. Played 9 games tonight and won them all. Got me up to 84% and I probably should have kept going but needed to get to bed..
Last battle in the IS-6B before I traded it in. 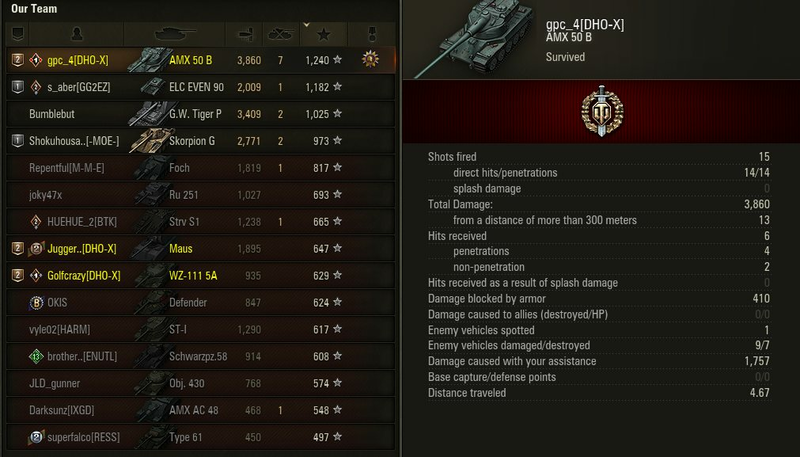 CW on Prok with 11k assistance damage. 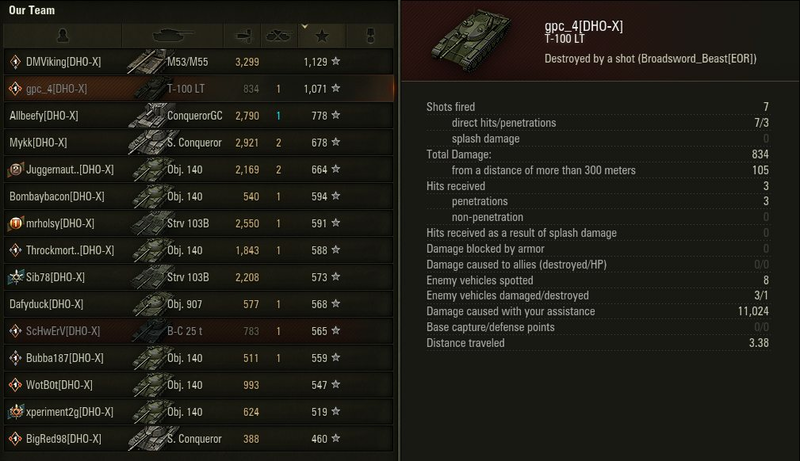 Enemy only brought 12 tanks but 11k broke my record for assistance damage (next battle I had 0 damage and 0 assistance).